Chris Brown got a knock on the door from cops because someone’s worried he’s losing his mind … after he challenged Offset to show up at his home … and revealed his address. 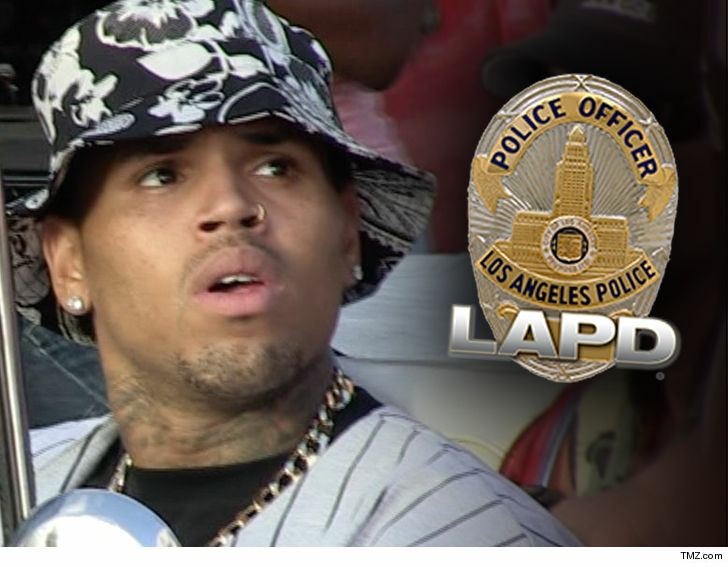 Law enforcement sources tell TMZ … someone called LAPD saying they were scared and concerned for Chris’ well-being. Friday, he posted his San Fernando Valley address on IG — instantly giving not only Offset, but his more than 50 million followers, a road map to him. We’re told cops showed up around 10:30 PM Friday and spoke to CB’s security, who said the singer’s fine and added there have been no issues with Offset. Sources say cops advised Chris’ team to remove the post that includes his home address, and it’s since been deleted. ICYMI … Chris and Offset have been feuding since Chris posted a meme of 21 Savage, making fun of his ICE arrest. 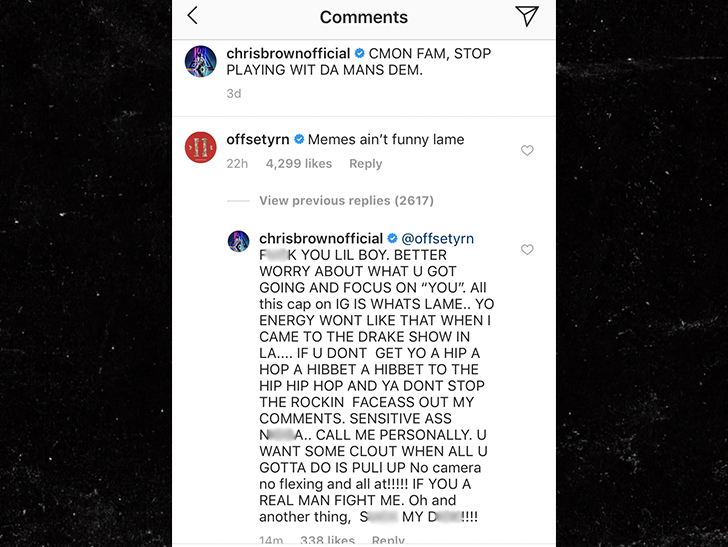 Offset said memes ain’t funny … triggering an expletive-laced response from Chris. Offset — who is pretty tight with 21 — then laid down the gauntlet by saying, “coke head don’t want” smoke. After a series of DMs, CB sent Offset his address and told him to fight him. It seems the dust has settled … for now.